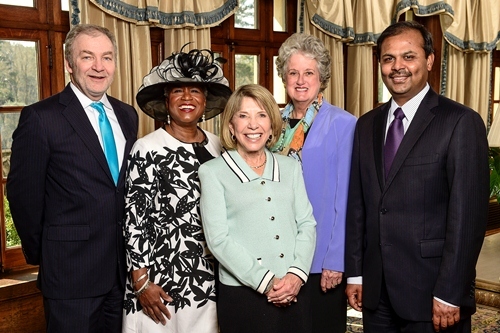 The annual Friends of Winship "Fashion A Cure" fashion show and luncheon, held on March 1st at the Cherokee Town Club in Atlanta, raised more than $170,000 for cancer research. During the event, Winship Executive Director Walter J. Curran, Jr., MD named two fashion show scholars: Suresh Ramalingam, MD and Sagar Lonial, MD. They were honored for their recent leadership appointments. Ramalingam is Winship's new deputy director and Lonial is the new chair of the Department of Hematology and Medical Oncology. The funds will support research efforts dedicated to develop novel treatment options for lung cancer and multiple myeloma. Learn more about the annual "Fashion a Cure" fashion show.